The Senkou High literature club members have been nothing more than normal. that is until one day they all receive super powers. The male protagonist, Jurai Andou, is a teenager with childhood fantasies and delusions of grandeur. Jurai is surrounded by an all female cast including Tomoyo, Hatoko, Sayumi, and Chifuyu, all of which have developed special abilities. Unfortunately their lives seemed uneventful and their powers seemed superfluous or so they thought, until they are attacked by a group of power wielders, and find there is more to it then just a simple bestowal of gifts. 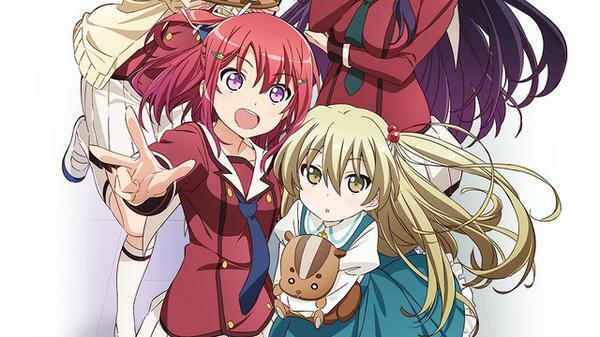 “When Supernatural Battles Became Commonplace” is a good anime but really lacked on character development. The turning point for the plot doesn’t really happen until much later in the series and the rotation of the turn is quite slow. The character personalities are nothing new, and only progressed in a small aspect, mainly of which was their infatuation for the main character. With this already being a harem anime, the tiny bit of character development is ignored and shrinks in the scope of things. The art style and animation was great, but a step back from the grandiose animation of “Kill la Kill” as done by the same studio. The music & sound are on key and can really convey the emotion behind the scene but is far from memorable. Where the anime truly shines is in its unexpected shift in mood from all out silly and bumbling hilarity to a down right serious issues dealt by most adolescents, that even I couldn’t deny it. Even with all its negative aspects, if you are looking for an anime with a solid cast and enjoy a simple-minded plot, I would probably recommend you give this a shot. This anime unleashes its’ true power and summon a 3 and half Dashes of Battle out of 5. Battledash's Anime Reviews · Sometimes an anime fan just needs a BAR.